Strolling down 30th St in North Park you’ll run into the Monk With Umbrella mural blending nicely with its urban landscape. 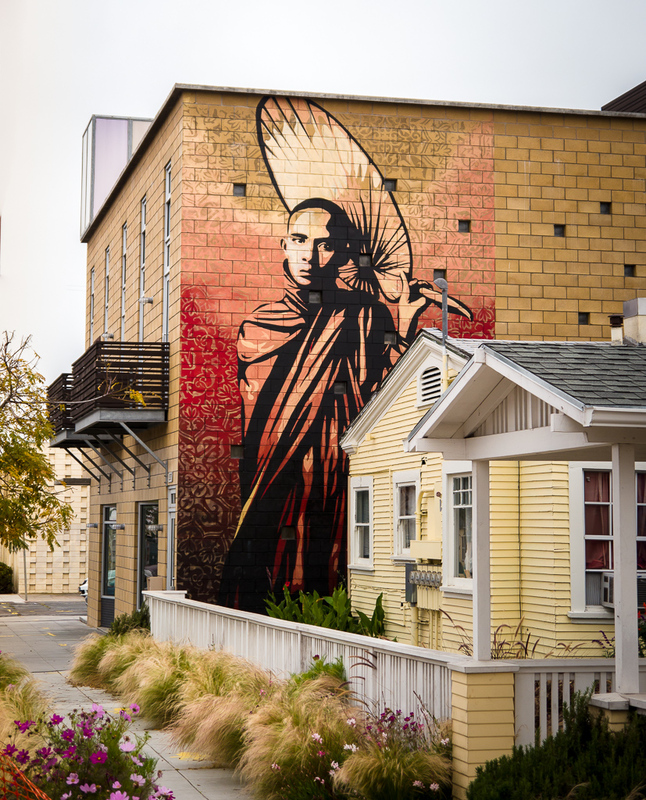 This street art mural is part of the “Viva La Revolución” collection created in 2010 by artist Shepard Fairey. As one of the artist first permanent murals, this one is here to stay.